The industry is taking a cautionary stance on the recent Reserve Bank of India (RBI) announcement that permitted the loan restructuring window to MSMEs for a year. While extended repayment periods, additional capital expenditure and relaxed interest servicing requirements seem the immediate benefits that can accrue to small businesses, experts say that the flip side of this move cannot be ruled out. “The restructuring effort might turn detrimental to the overall credit behavior of the economy as it may promote the tendency of willful default or raise expectations of similar bail-out packages in future. It encourages other capital intensive sectors such as aviation and steel to expect funding support on similar lines. This can create higher NPAs in the longer term,” feels Gayathri Parthasarathy – Partner and Head – Financial Services at KPMG in India. Earlier this week, RBI decided to permit a one-time restructuring of existing loans to MSMEs that are in default but ‘standard’ as on January 1, 2019, without an asset classification downgrade. To be eligible for the scheme, the aggregate exposure, including non-fund based facilities of banks and NBFCs, to a borrower should not exceed Rs 250 million as on January 1, 2019. The relief is available only to those MSMEs who are registered under GST. 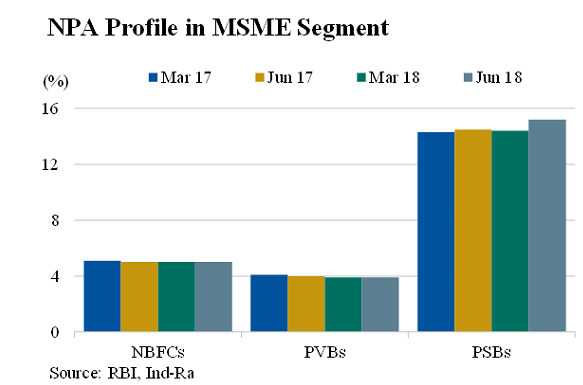 India Ratings and Research (Ind-Ra), a Fitch group company, also observed that while the RBI dispensation for MSMEs could improve credit flow to the segment, the credit culture could possibly suffer. 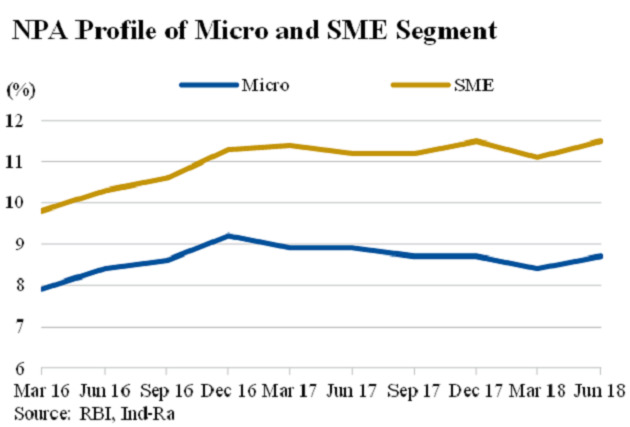 Karan Gupta, Associate Director, India Ratings and Research was restrained in his view saying that earlier dispensations have not displayed any material improvement in asset quality for the sector, as MSMEs’ cash flows remain under pressure. “Operations of MSMEs with inherent weakness in operations beyond the ambit of temporary mismatches related to demonetisation and GST could still play out and manifest post the dispensation period is over. Ind-Ra also believes that this dispensation may encourage some of the MSME borrowers, which are otherwise operating satisfactorily, to opt for the scheme and impair the credit discipline,” he stated. So in what way does this move pan out for an MSME which has a Rs 25 crore loan? In essence, MSMEs which had defaulted in payments and exhausted their working capital funds eligibility will get extended fund eligibility time period. “MSMEs can use these funds to improve their business conditions through better capital and cash flow management; thereby avoiding future defaults. The measure is expected to improve the liquidity position of MSMEs,” adds Parthasarathy. The sector has been grappling with credit crunch issues and lack of sufficient funds. While there have been schemes such as the 59 minute portal for credit of upto Rs 1 crore and 2 percent interest subsidy, experts reason that a sustained solution is the need of the hour. “While restructuring of loan accounts will alleviate stress to some extent, there is an evident need for easier NPA and restructuring norms for smaller firms. MSMEs need a long term solution that will not only provide them ample credit at reasonable interest rate but will also make lenders confident about risk-reward framework vis-à-vis the sector,” reasons R Narayan, Founder & CEO, Power2SME. There have been a slew of measures by the government in recent times that bring back the focus on the MSME sector which has been heralded, time and again, as the backbone of the economy. Going ahead, the stakeholders are hopeful that such measures will eventually reap in benefits that will aid their functioning and give a boost to the Indian economy. Sundeep Mohindru, CEO of M1xchange, one of the three TReDS exchanges feels that this step by the government is an initiative towards enhancement of entrepreneurship. “The Government and the RBI are working towards enhancing the business in order to boost the current economic situation. As the banking industry is enabled to handhold the MSME business, the MSME entrepreneurs will find a conducive environment to flourish,” he asserts.